Think back to last winter. Did your snow removal contractor fail to perform? Did you experience bad or unreliable service? Hidden fees? Invoices higher than the original quote? Poor or no communication? Inflexible contract terms? Well there’s a winter storm approaching Northeast Ohio. Now is your chance to make a change. At Abraxus Snow Removal, Inc., we understand that when a storm is not handled properly, it can upset the daily routines of people and even endanger public safety. It can also hinder your daily business activities. That’s why failure to perform is never an option for Abraxus. Abraxus is a family owned snow removal contractor and has been the top local snow removal service for more than 40 years. Working in conjunction with Abraxus Salt, LLC, we offer an unmatched range of innovative services including not just snow removal, but also salt and de-icing applications and even temporary on-site storage for immediate de-icing product access, if necessary. You can count on us for reliable service and decades of industry experience and expertise. 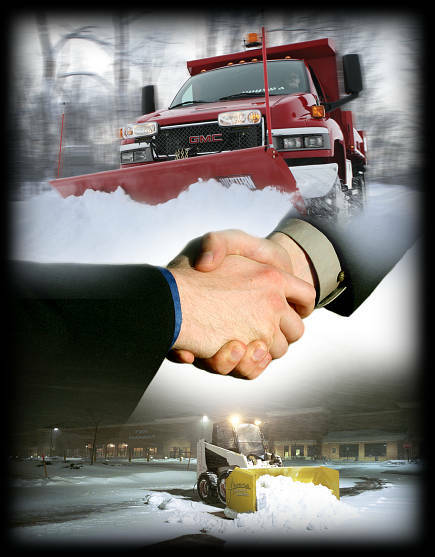 Abraxus always offers fair and consistent snow removal pricing and flexible contract arrangements. Your professional priority is protecting your business from interruptions and liability. When the weather is unpredictable, your business is at risk. That’s why a snow and ice management contract is an absolute necessity. It is ultimately another form of business insurance against the cost of weather-related interruptions and accident liability. Client satisfaction is our top priority—and our commitment makes us different than all the other snow removal companies. Abraxus will arrange a no-obligation, on-site meeting with one of our consultants to analyze your property and respond with a prompt, accurate assessment of your needs. The end result will be a custom designed snow and ice management program that exceeds your procedural expectations while meeting your budget. At Abraxus, we combine the proper pricing method for your property with the right budget, helping to reduce the expenses of winter storms, no matter the severity. Our privately owned salt dome, Abraxus Salt, LLC, can provide the consistent availability and fixed pricing of de-icing resources that makes your facility safe for all visitors and employees. Multi-year contracts are available with any of the above specified options. As one of the largest family owned independent contractors in northern Ohio, Abraxus snow removal contractors serve Ashtabula, Cuyahoga, Geauga, Lake, Lorain, Medina and Summit counties. Our professional de-icing and snow removal services delivers maintenance you can rely on. Abraxus, your top choice for a snow removal contractor, delivers the peace of mind your company, employees and customers deserve. For additional information or to learn more about Abraxus, click here to contact us or call (216) 321-SNOW.